Claire chats about the diversity of the Weleda gardens in Derbyshire and how pollens are collected for the Mixed Pollen 30C remedy. Q. How many plants do you grow in the Weleda gardens for the Mixed Pollen 30C and what are their names? All of the pollen that we harvest for our Mixed Pollen 30C remedy comes from plants that are already growing in our gardens. We have 13 acres of very diverse organic land, farmed biodynamically, with many different habitats, including ponds, damp meadows and woodland edges, which is ideal as we need to collect the pollen from a wide range of different sorts of trees, grasses and flowering annual and perennial plants. Each plant species has its own unique pollen and we collect 18 different pollens for the Mixed Pollen 30C homeopathic tablets. These included tree pollens such as Silver Birch, Oak and Ash, eight different grasses including Crested Dog’s Tail, Meadow Fescue and Yorkshire Fog, and five common flowering plants such as Dandelion, Plantain and Wormwood. It’s always interesting to see what the different folk names of plants are and these ‘common names’ can help with identification, especially with the grasses for example which are often very descriptive such as Meadow Foxtail and Cocksfoot. But when making medicines, we always use the official botanical names to make sure that we’ve identified the correct plant. Some plants also have several common or local names, and some plants also share common names, so to avoid any risk of misidentification we always use the universal plant language of Latin. Q. Why was the Mixed Pollen 30C temporarily unavailable? We originally sourced some of our pollens from France but when supply became unreliable the decision was made to source all our pollens from our own biodynamic gardens in Derbyshire. The garden team set about the task with great enthusiasm! It’s always good to have a new challenge and I was surprised by how much pollen we finally collected. The pollen collection takes a whole growing season as we need to collect as many different pollens as possible; from the early spring flowering of the Silver Birch through to some autumn flowering grasses and perennials. The challenge is to catch the pollen before it’s released from the plant. We found that the best collection method was to gently knock the pollen into a wide-mouthed jar. This was easiest with the tree pollens as they produce so much, but this method also worked well for the flowers and grasses. We had to painstakingly record each harvest with the species and date of collection, as accurate records are essential when manufacturing medicines. We then handed the pollens over to our Production team for processing into the Mixed Pollen 30C tablets. Q. Some of the plants are trees, some are grasses, some are flowers etc – why were those particular plants selected? Which are the main culprits? Pollen is a very fine powder produced within the plant’s flowering parts to fertilise other plants of the same species, resulting in seeds that grow the next generation. Plants can be fertilised in different ways: by the wind, bees, other insects and animals, but it’s the wind-pollinated plants that are the most common cause of hayfever, as they release vast quantities of pollen into the air at flowering time. If you get hayfever in the early spring it’s probably the pollen from the Silver Birch trees, but if your hayfever gets triggered in the summer, chances are it’s the pollen from the flowering grasses which are irritating your mucous membranes. Q. Which plants are used in the Hayfever Relief Oral Spray and why were these selected? The Hayfever Relief Oral Spray contains 6X potencies of Euphrasia, Allium cepa and Gelsemium. Allium cepa, or red onion, is used in homeopathic tradition to relieve the streaming eyes and nose that we recognize as classic hayfever symptoms. The tincture is made from the fresh onion bulb grown biodynamically in Weleda’s Derbyshire herb gardens and harvested at the height of summer. This plant is often used as a simple illustration of the ‘like cures like’ principle behind the more complex system of homeopathic medicine, as we all know the eye-watering effect of chopping onions. Euphrasia Officinalis, or Eyebright, is traditionally prescribed to soothe the bothersome stingy, red, watering eyes associated with allergic rhinitis, or the bursting headaches that can accompany hayfever. Weleda’s Euphrasia is grown biodynamically in our large medicinal herb gardens in Germany. The flowering plants are meticulously harvested by hand and used immediately whilst fresh for the maceration process that is the start point for the tincture. Gelsemium sempervirens, or Yellow Jasmine, is prepared from the root of the fresh plant. This plant doesn’t like the wet Derbyshire winters so Weleda source it from the wild in North Carolina. Gelsemium is often favoured by homeopaths to relieve those debilitating ‘heavy head’ hayfever symptoms, and the itching or tickling at the back of the throat. Q. When does the hayfever season start and end? Why is hayfever worse for most people in the warm, dry summer months? The hayfever season can start as early as February when the Willow and Hazel trees start flowering, so it’s a good idea to start taking the Mixed Pollen 30C early in the year before symptoms become apparent. Around 25% of hayfever sufferers are affected by the Silver Birch pollen release in April. For about 95% of sufferers, the worst time of the year is late May through to August, which is when the wind-pollinated grasses are flowering and there’s less rain around to bring the pollen down to the ground. Late summer can also present a problem with late flowering weed pollens and fungal spores in the air. It seems that winter is the only guaranteed ‘down time’ for hayfever sufferers. Q. Can you take homeopathic hayfever remedies preventatively, before the peak hayfever season strikes? Homeopaths often recommend starting well before the summer hayfever season is upon us because, even as early as March, as tree pollens such as Elm, Willow and Ash can be a real irritation. Mixed Pollen 30C can be taken preventatively to reduce the intensity of hayfever symptoms and for some sufferers may even prevent them altogether. Q. Wouldn’t it make your hayfever worse to take medicine made from pollen? Mixed Pollen 30C contains a comprehensive mixture of the plant pollens most commonly known to trigger hayfever according to the homeopathic principle that 'like cures like'. This principle, proved over 200 years of homeopathic medicine, is that the same substance which in large amounts would normally cause the symptoms, is used in minuscule doses as the remedy. Homeopathic mixed pollens provide a proven effective arsenal in the battle against hayfever symptoms (see footnote*). 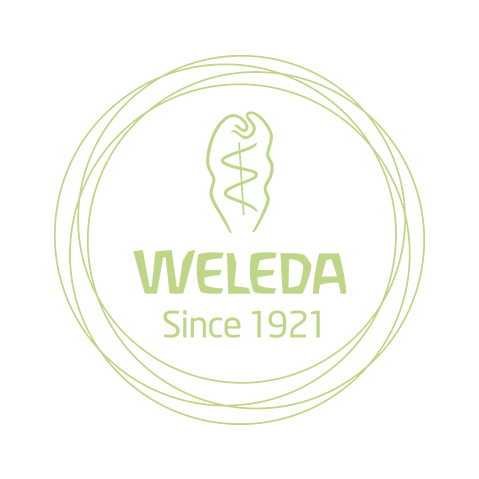 Weleda recommends taking Mixed Pollen 30C as a course over 4-6 weeks before symptoms even appear. This can help reduce the allergic response experienced on exposure to airborne pollens. Q. Is the Hayfever Relief Oral Spray suitable for vegans? Is Mixed Pollen 30C suitable for vegans? Can children use these medicines? Due to the alcohol content, the oral spray is only suitable for children over 12 but it is vegan-friendly. The spray solution is made from purified water and ethanol made from organic grain alcohol (gluten-free). The Mixed Pollen 30C tablets are suitable for children but are not suitable for vegans due to the lactose tablet base. Our Rhinodoron Nasal Spray is suitable for vegans and also suitable for children of all ages including babies over 3 months. It is also suitable for use during pregnancy and breastfeeding. Q. Is the Rhinodoron Nasal Spray to be used instead of or as well as the homeopathic remedies? How does the spray work, how is it different to the medicines? Rhinodoron Nasal Spray can be used alongside homeopathic remedies or alone, when treating hayfever symptoms. Designed to ease the misery of allergic rhinitis and hayfever, Rhinodoron Nasal Spray helps clear blocked, stuffy noses by gently flushing out dust or pollens in the air that prompt the itchy, congested feeling. This is a soothing saline solution with organic aloe vera, packaged in a clever little pump action spray bottle. The isotonic salt solution in Rhinodoron Nasal Spray is skilfully formulated to be compatible with our own natural physical make-up. Sodium and potassium chloride are important natural components of human bodily fluids. Rhinodoron contains pure distilled water plus sodium and potassium chloride in a concentration that exactly matches the concentration found in the body, so the solution is well tolerated by the mucous membranes, even in an irritated nose. As it works differently to homeopathic remedies, Rhinodoron can be used alongside our hayfever medicines to specifically soothe irritation in the nose. Rhinodoron can be used safely over protracted periods, and is also useful for young children (over 3 months) to clear a congested nose. Rhinodoron is also suitable to use during pregnancy and breastfeeding. Always read the label. If no improvement is experienced after 7 days, then contact your homeopath or doctor. * The Lancet,18 Oct 86, 2(8512):881-6. Controlled trial of homoeopathic potency, with pollen in hayfever as model. Reilly DT, Taylor MA, McSharry C, Aitchison T.
The study compared the effects of a homeopathic preparation of mixed pollens with placebo in 144 patients with active hayfever. The homeopathically treated patients showed a significant reduction in patient and doctor assessed symptom scores. The significance of this response was increased when results were corrected for pollen count and the response was associated with a halving of the need for antihistamines. An initial aggravation of symptoms was noted more often in patients receiving the potency and was followed by an improvement in that group.